For several months now Calleva have been supporting a local Charity endurance cycling team, Team Blanco Enduro. The team is made up of 4 keen amateur cyclists from Burnham-on-Sea, who put on cycle related charity events in the local community throughout the year. 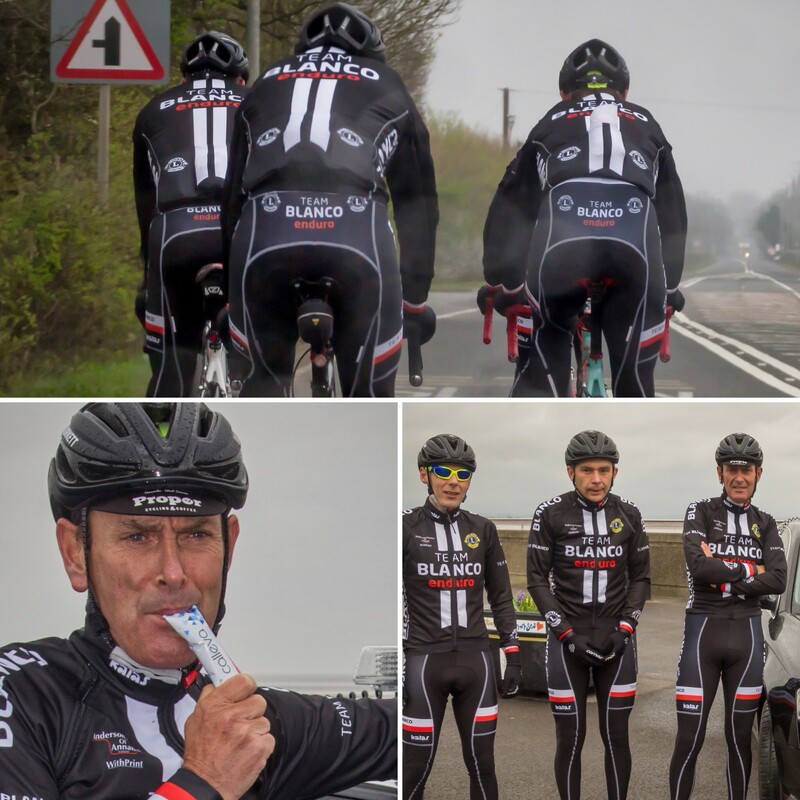 Team Blanco are already holders of the world record for a 4 man individual team relay from John O Groats to Lands End, but on Friday 27th April the guys will set out to try and improve their previous time, of 52 hours and 12 minutes. Calleva have supplied the Team with plenty of energy products, hydration drinks and recovery formulations so fingers crossed the weather conditions are in their favour and the record can once again be broken. The target is for them to pass by Calleva’s doorstep (which is on the route!) at around 5pm on Saturday 28th April. All the best Karl and Team Blanco Enduro! Calleva are very proud to support you!